One more time the adult world disappointed me. If I remember right (and i do) I was promised singing birds dressing me up every morning while i dance around my room. Well that didn't happened. Due to that disappointment now every single time I am too lazy to pick up an outfit yet i still want to look cute i have three possibilities : wear whatever, force myself to care or just stay home with option three being the most preferable choice. Luckily for me the weather is on my side now and I am able to use magic tricks again. Magic tricks that make you look polished without trying, magic trick that takes your pairing worries away. Magic trick that comes in form and shape of a dress. The perfect dress is the one that goes with everything. The one that you don't need to iron. The one that won't disappoint you when you most need it. I have done my research. I search the web. I have done a list. 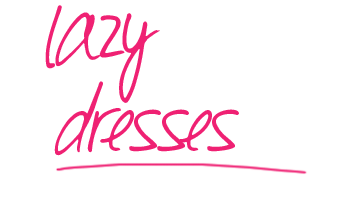 A wish list of my lazy dresses for upcoming summer. Weekends spend in the beach houses can be amazing. The atmosphere, the friends. You are having a blast, relaxing, dancing and creating great memories. The down side is that you probably won't remember most of them in the morning. Maybe it is for the best. But just because you had the best night in ages doesn't mean you have to come back to real life looking like you went on a survival trip with Bear Grylls. 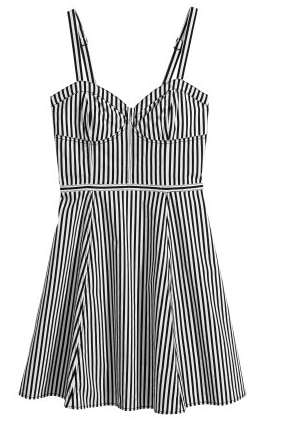 This striped dress can save you within seconds and it is a dress so you really don't have to look for your jeans in that pile of clothes in the middle of the room. When your boyfriend invites you to a party where you will meet his family members it creates a task superman couldn't handle (simple because he's a man). You need to look classy but not boring,nice but not too polite, sophisticated but young and fresh... and you name it. After throwing all of your clothes on the floor, googling possible parings and loosing it while talking to your best friend you will come up with a solution. 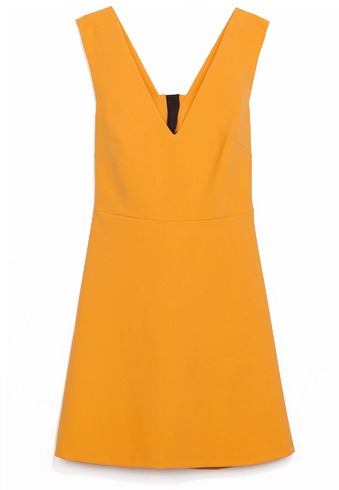 And it might be as well this orange dress. So just put it on and go through the door before you come up with a horror scenario of another way you could ruin the party (and the relationship) with bad outfit. We all know the real story. You have heard the alarm at 6 am and you put it to sleep. Here you are in the middle of the bed with a head in a pillow trying to convince yourself you will be able to get ready in 10 minutes so you can have some extra sleep. Let me tell you a secret. You will dream so much better knowing that you have this secret weapon in your closet. 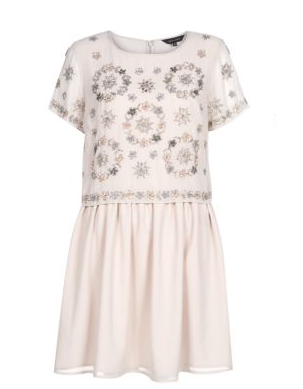 It might look like an ordinary dress but don't be fooled. It goes with everything you will be able find within 2 minutes in your room and it looks perfectly fine with messy hair. A little party never killed nobody!! That statement is false. But the fact that dressing up for a party can make a whole night much better is definitely true. Who knows what can happen if you put a nice dress on and finish it up with a cute hairband. Today is your night and you can be whoever you want to be. Create a character, dress it up and go in the night. Have fun darling and maybe we will hear you singing ,,oh those summer nights" in the autumn. 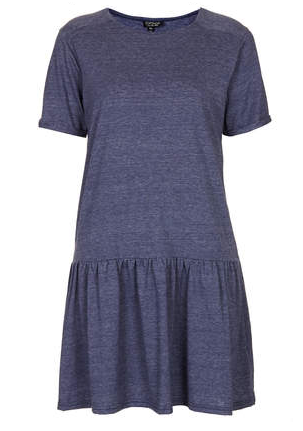 do you have your favorite lazy summer dress?